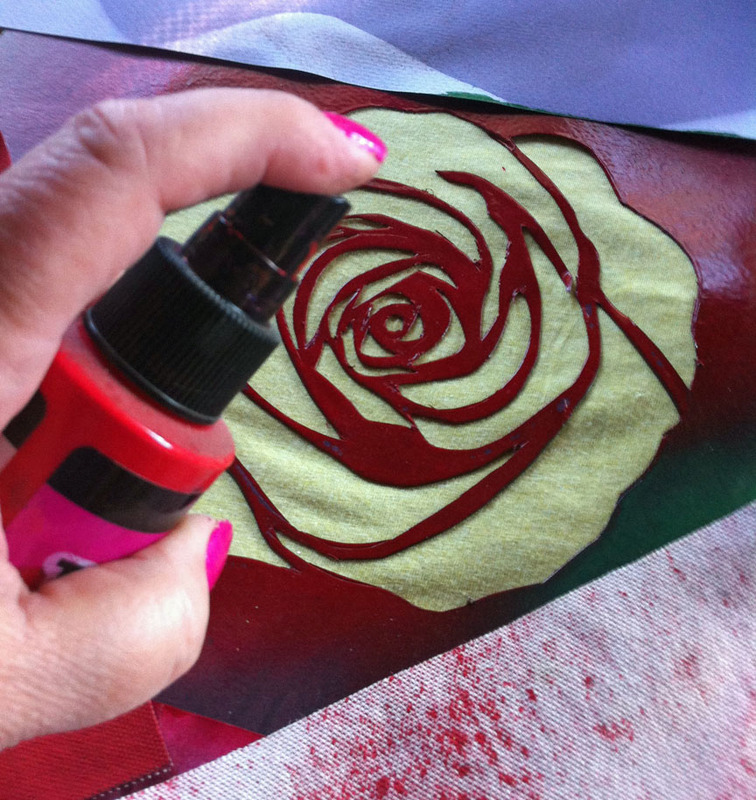 iLoveToCreate Blog: CRAFTY CHICA: Jumbo Fabric Stencil! 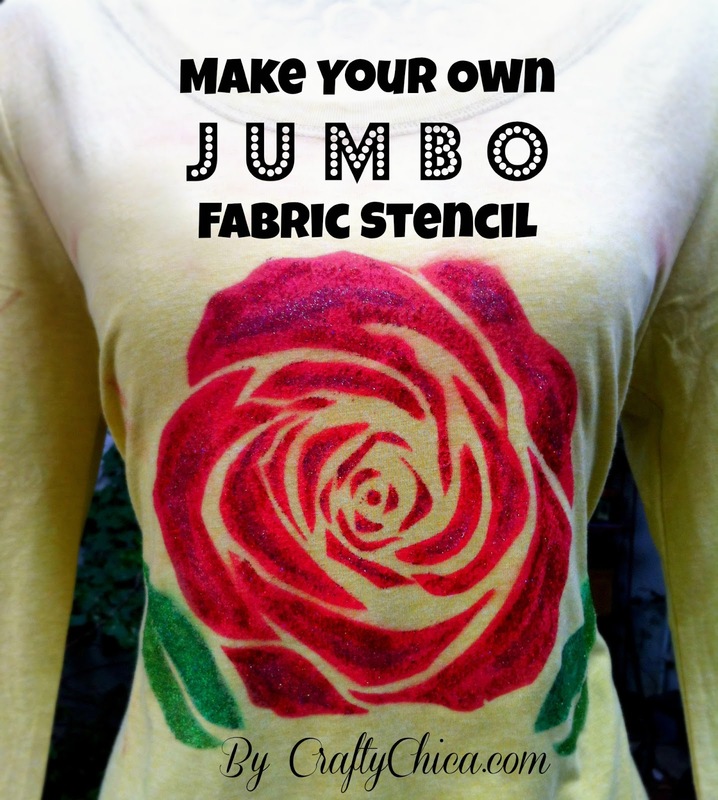 CRAFTY CHICA: Jumbo Fabric Stencil! Last month I debuted 20 new art paintings at a local Phoenix gallery. I wanted to celebrate the crafty in me and still have something bold enough to turn heads. 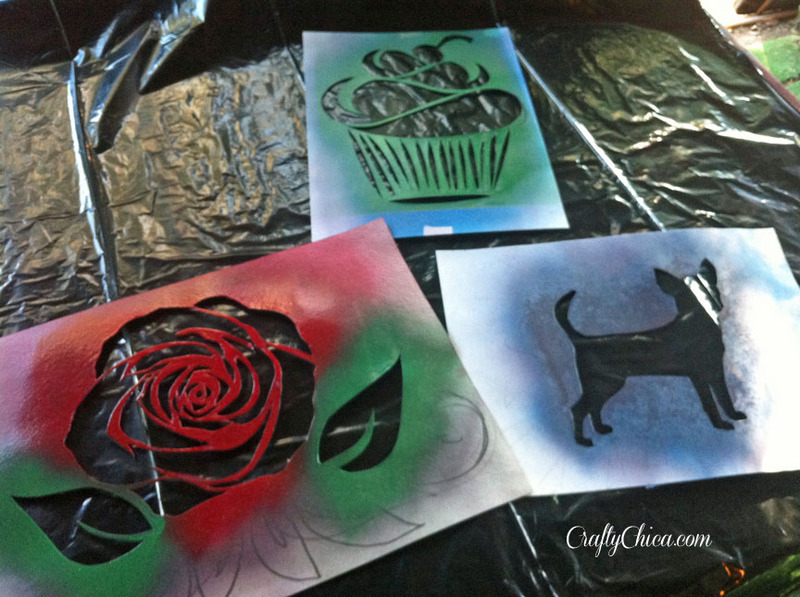 I ended up cutting a series of jumbo stencils and then spraying them on canvases and...glittering them! I realized that I now have a collection of really cool jumbo sized stencils that I can use for graffiti art, clothing and more! 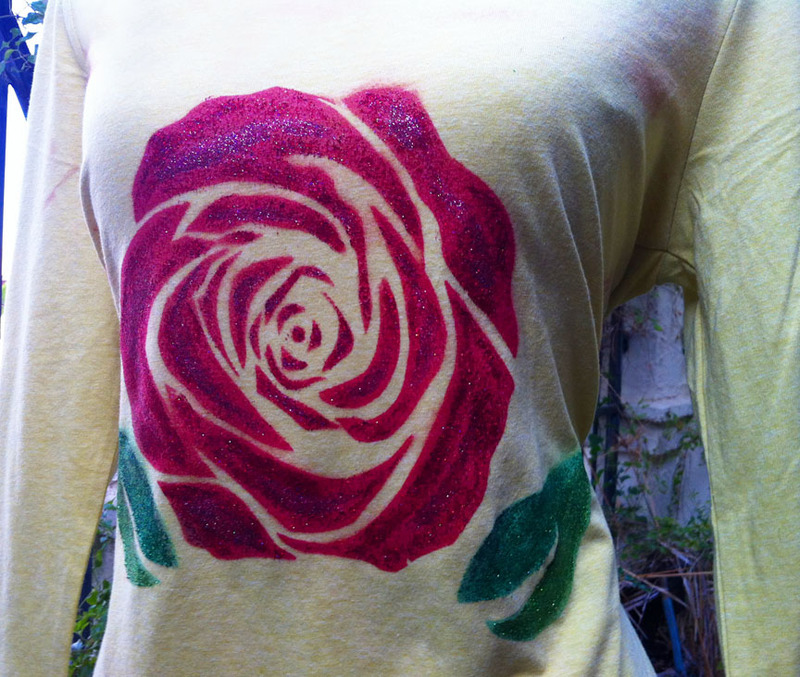 Here is one of them - La Rosa. I used it to make my daughter a shirt! Here is how to make your own version! First you'll need to draw or trace your design on the watercolor paper and then cut it out with the craft knife. Think bold to get a strong design! Here are three I cut and have used! 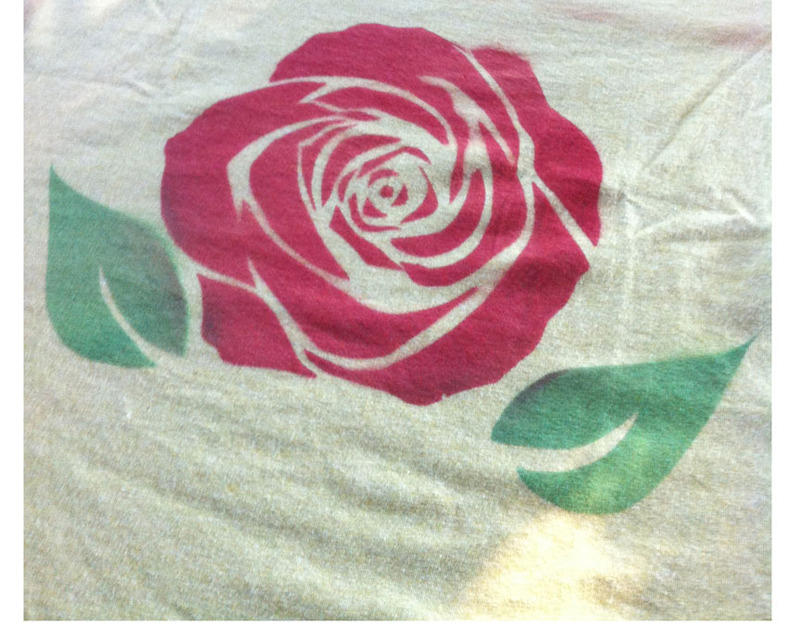 You'll want to insert a shirt form between the layers of the shirt and then lightly spray the back of the stencil with the Repositionable Spray. Set it on the fabric and press in place with your hands. This will prevent the spray from getting under the design, you'll get nice, crisp lines! 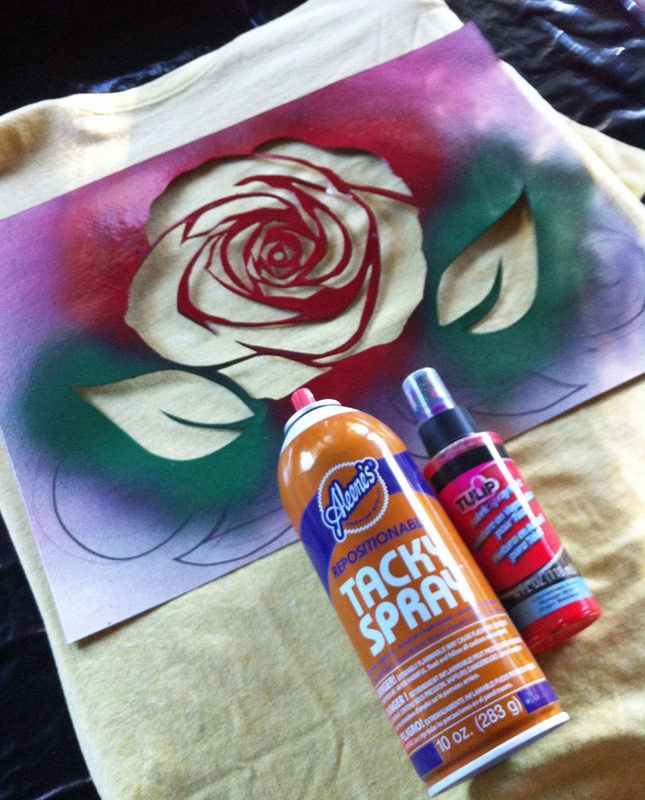 Set down extra paper around the stencil to prevent overspray. Also, block off areas that you'll be spray in in a different color! Lightly spray one coat, let dry and repeat until you get a nice even coat of color. Nxt it will look like this - nice, but a little flat. Time to add some sparkle! 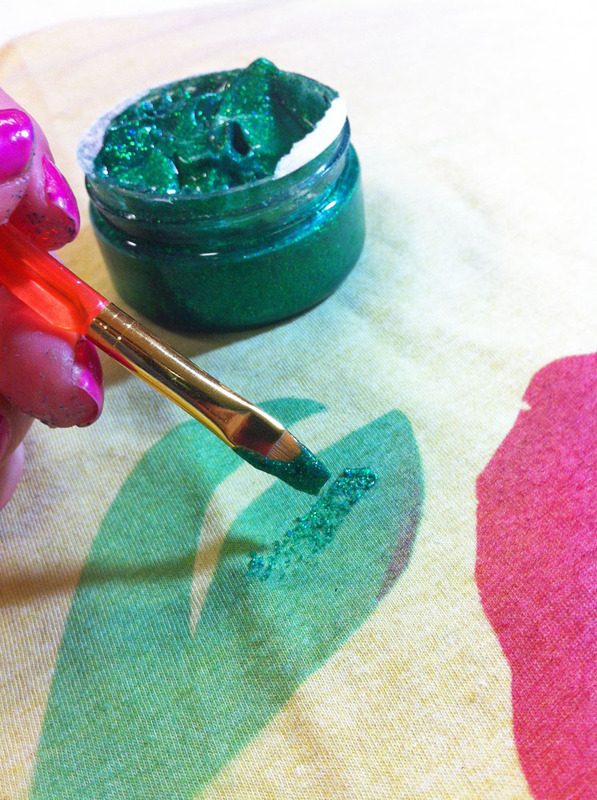 I used a paintbrush to add thin layers of Tulip Shimmer Fabric Paint. Thanks! Hope you enjoyed this project! You, my dear, are BRILLIANT!!! What an AWESOME project! And fabric paints come in a spray?! Sha'up!! Love it!! Definitely going to try this!